Hotel Delhi Darbar is a budget hotel located in Karol Bagh which is the bustling shopping hub of New Delhi at just 3 km from the New Delhi Railway Station. Hotel Delhi Darbar is a budget hotel located in Karol Bagh which is the bustling shopping hub of New Delhi at just 3 km from the New Delhi Railway Station. Known for its excellent personalized services, the hotel offers excellent accommodation and local tourist facilities at a very reasonable cost. 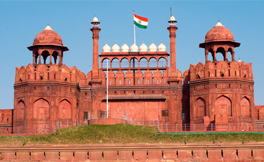 The hotel also offers easy access to major shopping and tourist destinations of New Delhi, making it an ideal choice for both the leisure and business travellers. For the comfort of our esteemed guests, HOTEL DELHI DARBAR have 34 A/C nifty Rooms have Elegant Designs, Style Decorated Rooms with all Modern Amenities Like Air conditioned rooms with attached Spark-less Linen , Designer bath, H/C running water, 24-hours rooms service, individual Refrigerators, Colour (LCD)-TV with Satellite Channels, Direct Dial Telephone, Free Internet/ E-mail (Wi-Fi) Unlimited, ARD Elevator, Generator backup & our Hotels SPECIALITY RESTAURANT to Cater Delectable Choice of Multi cuisine. 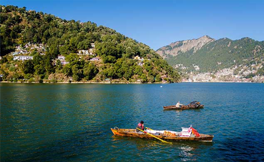 Hotel Rio Grand...A Premium Boutique Hotel in Nainital.....Situated in Leap of Himalayas.